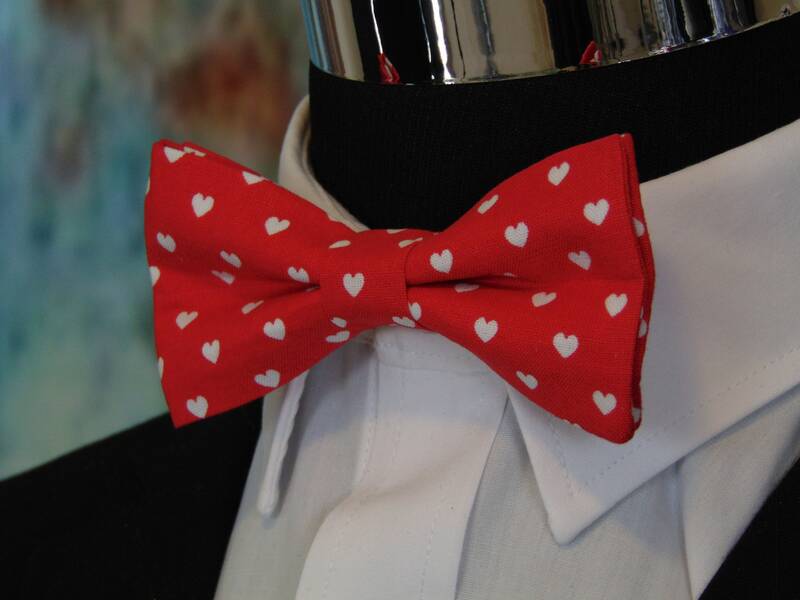 This is the perfect Valentines Bow Tie for the one you love. 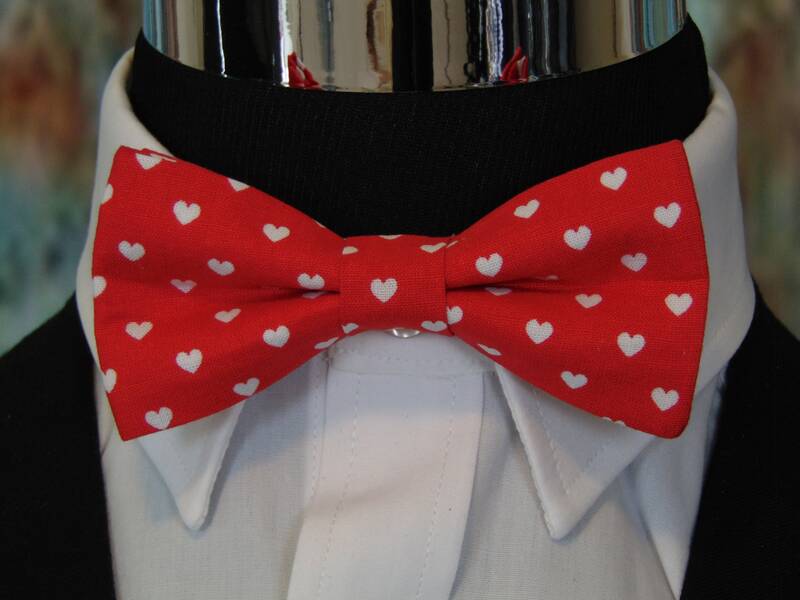 This red valentines day bow tie is available in men's or boy's sizes, also available extra large. 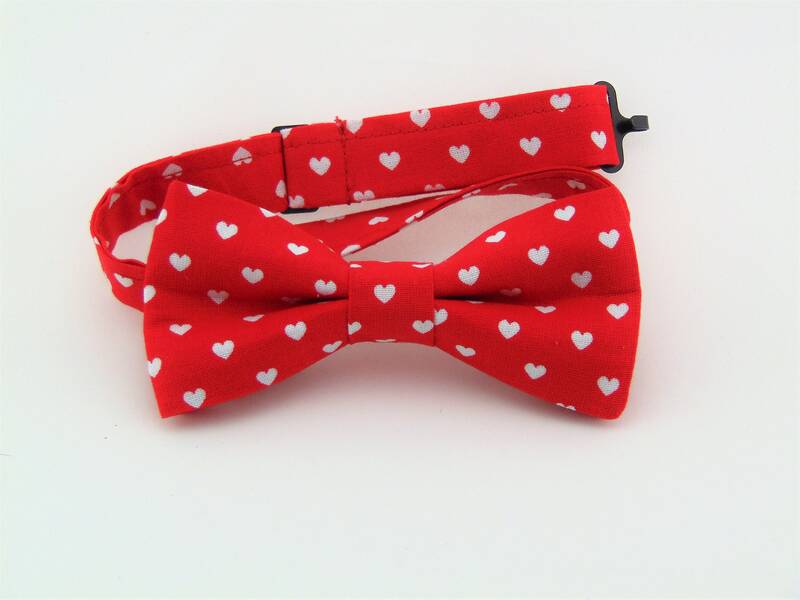 Features a red background with white hearts.